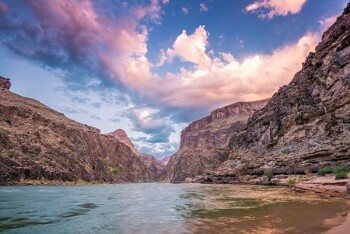 Rafting the Grand Canyon exceeded our expectations in every possible way. The rafting, the hiking and the camping were all great adventures. We saw and experienced the Grand Canyon in a way that is only possible from a river rafting trip. The staff was A+, knowledgeable, incredibly competent, and well organized. The food was also A+, I had expected cafeteria food and instead, the food was fresh, well seasoned and delicious. We loved this trip so much that I'm sure we will return in a couple of years, and I would only sign up with Western Rivers. This was the best outdoor adventure EVER!